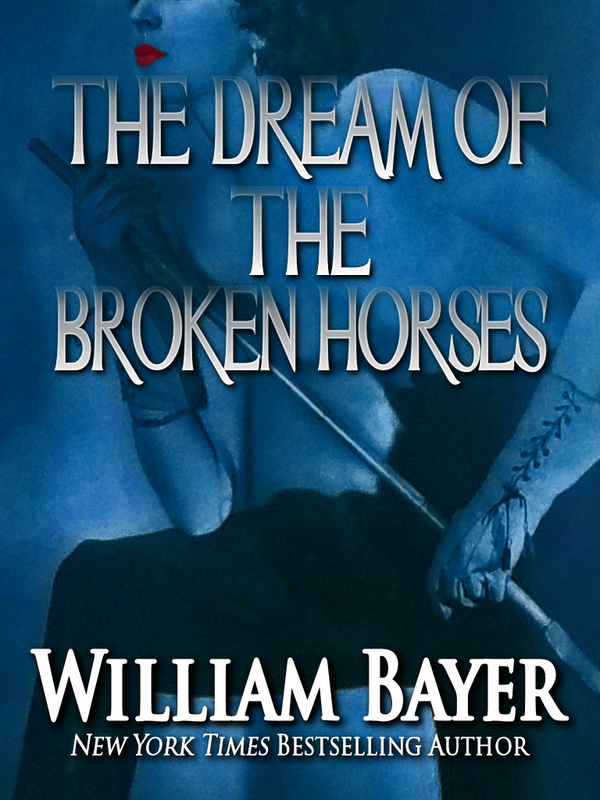 With THE DREAM OF THE BROKEN HORSES, New York Times bestselling author WILLIAM BAYER (described by Robert B. Parker as “a first-rate master of heart-pounding suspense”) returns with this breathtaking, multilayered tale of a twenty-five year old society murder and the many long shadows it still casts. This riveting, sharp-edged psychological thriller may be Bayer’s finest, most compelling work to date. A man and a woman are making love…. One hot summer afternoon a quarter century ago, a wealthy socialite and her young lover, a private school teacher, were gunned down in a cheap hotel room on the outskirts of the Midwestern city of Calista. Now, forensic sketch artist David Weiss has returned to his hometown to cover a routine celebrity murder trial for ABC. For someone who has earned a reputation for cracking high-profile cases with his portraits of suspects based on eyewitness accounts, churning out courtroom sketches is pedestrian work. But Calista holds other attractions for David. First, there are the welcome attentions of CNN reporter Pam Wells. Then there’s the notoriously unsolved double murder at the Flamingo Court motel that has haunted him since boyhood. Like his psychoanalyst father before him, David becomes obsessed with one of the Flamingo victims, the beautiful and tragic Barbara Fulraine, as fascinating as she was enigmatic, and with the bizarre circle of friends, gangsters, columnists, and lovers who surrounded her. David’s father believed that if he could unlock Barbara’s troubling, recurring nightmare — which she called “the dream of the broken horses” — his solution would mark a watershed in his career. Now David, armed with old news clippings and transcripts of police interviews, as well as an extraordinary psychological case study of Mrs. Fulraine recently discovered among his deceased father’s effects, seeks to use his highly honed professional skills to reassemble the face of her killer. But with each eyewitness interview and each fresh stroke of his pencil, David finds himself being hurled along a path of ever-darkening mystery, obsession and dread. The French edition of THE DREAM OF THE BROKEN HORSES was awarded the Prix Mystère de la Critique for best foreign crime novel.